NASHVILLE - Nearly an hour and twenty minutes after its scheduled kickoff time, the highly anticipated rivalry match between Nashville SC and Memphis 901 FC at First Tennessee Park on Saturday night ended in a 2-0 shutout victory for the home side, marking Nashville’s third clean sheet of the year. Matt LaGrassa and Ropapa Mensah provided the lightning late with each of their first goals of the season. Daniel Ríos almost found the first goal of the night in the 15’ minute after he and Darnell King seamlessly connected in the final third. King’s well-placed pass helped set Rios up to beat his defender with a simple touch, but the striker’s shot sailed wide left. A signature Tucker Hume header forced Memphis goalkeeper Jeff Caldwell to make a diving save near the end of the first half. The keeper’s deflection of Hume’s attempt resulted in a corner that Nashville could not put away. Nashville SC carried its relentless attack into the second half. Kharlton Belmar looked to capitalize on another NSC corner in the 54’ minute, launching a shot that was barely over the frame. LaGrassa finally opened the floodgates in the 78’ minute when he willed his way through the box to put away the first goal of the night. Within three minutes, Mensah followed up with a goal of his own to lock in Nashville’s 2-0 rivalry win over Memphis. 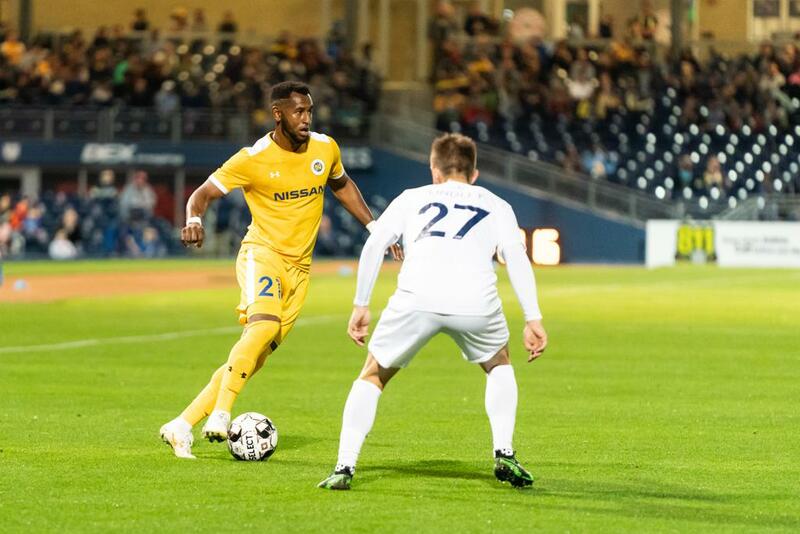 Nashville SC’s attack has found its rhythm. Tonight, the team netted two goals in three minutes to lock in its second clean sheet victory in a row. NSC has seen back-to-back matches with double-digit shots on goal with 15 total shots against Ottawa Fury FC last week and 21 tonight. Not only were Nashville’s shots abundant, but they were wide spread with nine different Nashville SC players taking a shot. 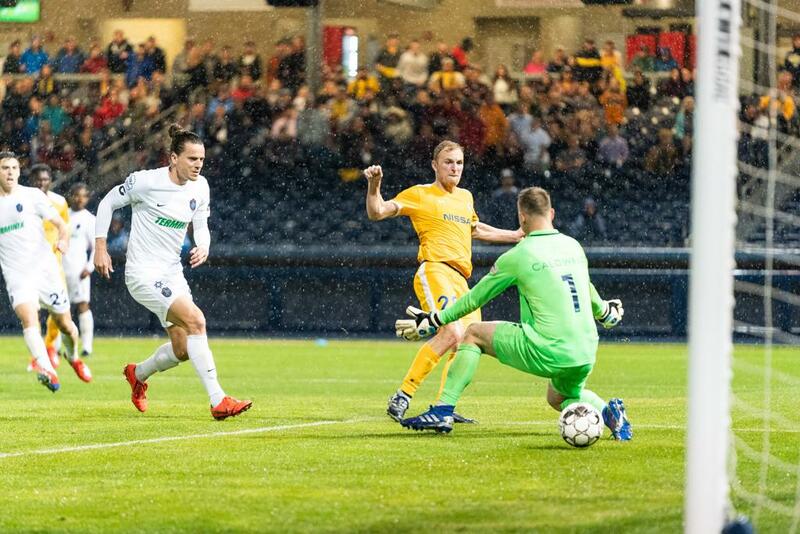 Midfielder Matt LaGrassa celebrated one calendar year of appearing in every Nashville SC game with his first goal of 2019. Since joining NSC, LaGrassa has not appeared in just one competitive game. 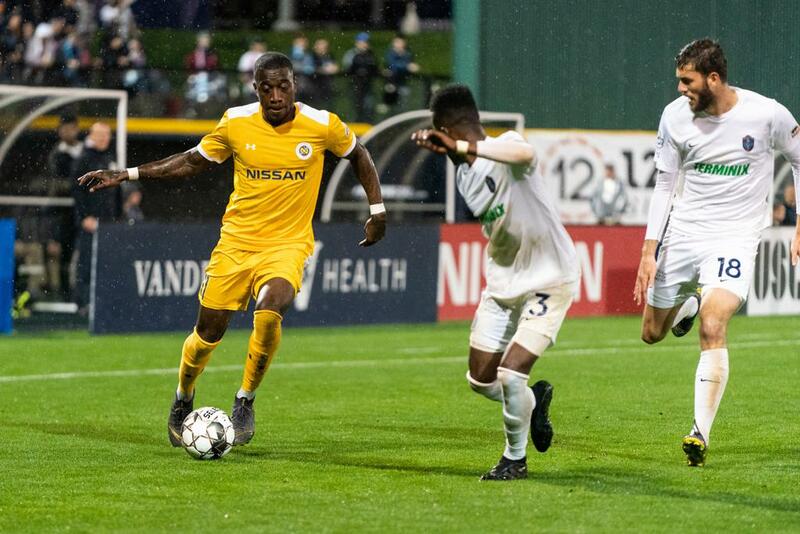 All three of Nashville’s wins in 2019 have been clean sheets with two coming at home against Loudon United FC and Memphis 901 FC, and one on the road against Ottawa Fury FC. The backline kept Memphis to just six shots on goal tonight, allowing only one of those shots on target. Matt Pickens has been scarcely tested this season, making his save in the 48’ his sixth save out of seven shots faced this season. Nashville SC kicks off a three-game road stretch next weekend at the Charleston Battery. Kickoff is set for 6:30 p.m. CT on Saturday, April 20.